Getting psyched for next weeks NEJC. This is like the "Gathering of the Juggaloos" for BMX. It got weird last year and I'm hoping this years will be just as weird and fun. We have a few guys flying in and they will be hanging in the shop all weekend. You'll have to come here to see who's hanging. Big shout to Chuck Goldy of DG for making it happen again this year!! Ah yes and we will be Closed Sunday October 6th for the obvious reason. 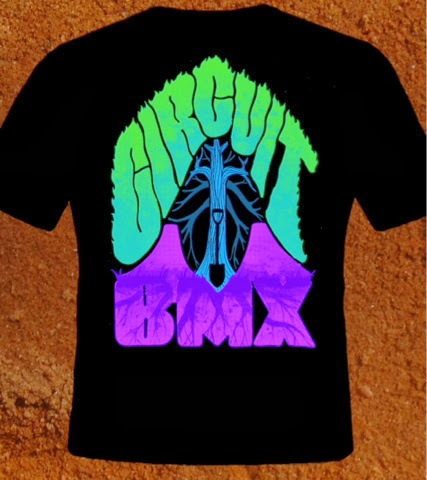 Here is a lil promo we made to represent Circuit. Have some fun why dont ya and stop by our tent for a free cup of some classic New England Clam Chowder!! Here are a few new goods that popped in the shop this week!! 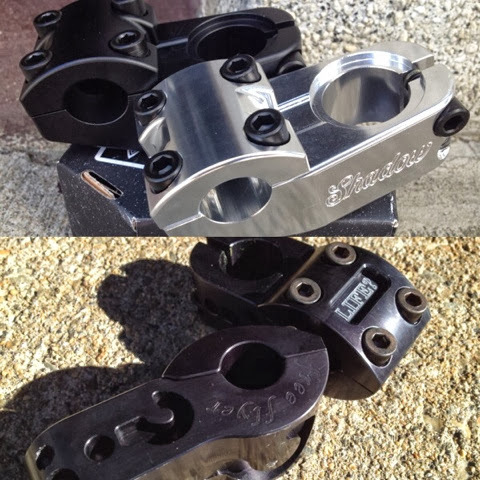 The New Shadow Chula Stems are in and if youre looking for a lil rise in youre front end these are a good option. 53mm with a 33 rise. Raise it up!! We also restocked on my favorite stem. The Life? Free Flyer Stem has a classic look, sturdy build and made in Colorado by TBVO. 50 and 53mm,pick one. We just received a couple of 2014 Verde Eons and they are built u[ for you to check out. If youre looking for an entry level complete that's gonna roll smooth this is it. $350 for a fully sealed complete is a hard one to beat. Good job Verde!! The Fall Circuit Hoodies and 3/4 Sleeves will be here by the end of this coming week. The Psychedelic Woods design is my favorite shop shirt to date. You can pick one up at Jam Chowda or in the shop.